HIAWASSEE, GA – Officials announced that the city of Hiawassee will be celebrating “Georgia Cities Week” April 21-27. Hiawassee will be holding a variety of events throughout the week, including Mayor for a Day essay, word puzzles, etc. 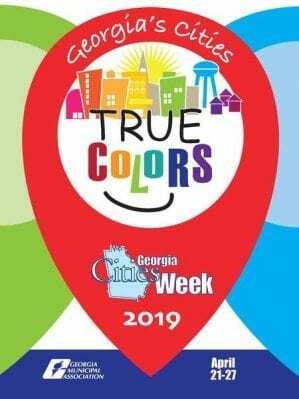 The theme of this year’s Georgia Cities Week is “Georgia Cities: True Colors” highlighting the unique character of cities. This is the 20th year Georgia Cities Week has been celebrated in the state, and the first year the city of Hiawassee will participating. Events planned for the week are: “If I were Mayor” essay, word search puzzles, etc. “During the week of April 21-27, Hiawassee will join other cities across Georgia in celebrating Georgia Cities Week,” Mayor Otdiales explained. “This week has been set aside to recognize the many services city governments provide and their contribution to a better quality of life in Georgia. Our theme, ‘Georgia’s Cities; True Colors’ reflects the unique character of cities and the role they play in the state’s history, economy and culture. “City government is truly government of, by and for the people – the people who are making the decisions about our community are your neighbors, business owners and community leaders. We are in this together, and we want our city to thrive. “The value cities bring to our state is undisputed. Georgia’s cities make up just 9.2 percent of Georgia’s land area, but 68 percent of jobs are located within cities,” the mayor continued. “Cities are home to more than 43 percent of the state’s population, 65 percent of the commercial property and 50 percent of the industrial property. “We recognize that throughout our lifetimes, the average person will have more direct contact with local governments than with state or federal governments. Because of this, we feel a responsibility to ensure that the public knows how the city operates and feels connected to their city government. Cities across Georgia will be celebrating Georgia Cities Week, sponsored by the Georgia Municipal Association (GMA), to showcase and celebrate cities and the many services they provide. Based in Atlanta, GMA is a voluntary, non-profit organization that provides legislative advocacy, educational, employee benefit and consulting services to its 538 member cities. Georgia Cities Week gives cities an opportunity to share information about the valuable services cities provide to residents and how cities positively impact their quality of life. The week is also an opportunity to celebrate community achievements and recognize volunteers and city employees. HIAWASSEE, Ga. – Hiawassee Mayor Liz Ordiales announced that residential water rates are proposed to more than double for city citizens over a five-year span. Rates are scheduled to increase from $19.27 per month to $24.67 this year, rise to $30.09 in 2020, climb to $34.61 in 2021, spike to $38.76 in 2022, and level at $42.25 by 2023. A monthly, thousand gallon consumption allowance will remain in place. The proposal will not effect businesses, Ordiales said. Mayor Ordiales stated that the City of Hiawassee sought counsel from the University of North Carolina, in conjunction with GEFA, in determining the rate hike, opting to spread the increase over a half decade rather than impact residents in an immediate, full-scale fashion. The rate increase is calculated to heighten city revenue by nearly $187,000 during the first year of implementation. “The standard way that many systems measure affordability is to look at “percent MHI”—the percent of income your median household would pay each year for typical water and sewer use,” UNC-Chapel Hill Environmental Finance Community Advisor Stephen Lapp explained. “For our analysis, we assumed ‘typical water use’ was 3,500 gallons per month for residential customers. At that level, your median household (earning $36,058 a year) would spend 2.34 (below booster) and 2.43 (above booster) percent of its annual income on water and wastewater services. There are no universally accepted standards for what constitutes ‘affordable,’ so it will be up to your system to determine if that level is acceptable. “Looking just at median household income, though, gives you a rather incomplete picture of affordability. It is, after all, the median income—half of the households have incomes below that level. “Thankfully, the census offers us a broader perspective on household income through their American Community Survey. Here, we are able to see the percentage of your customers at different income “buckets” (up to $10,000, $10,000 to $15,000, etc.). “In Hiawassee, about 33.6 percent of households earn less than $25,000 and are in the lowest income buckets. Those who are in those lower buckets can spend up to 8.45 percent of their annual income on water and wastewater services if below booster and up to 8.78 percent if above booster. This percentage is high but not surprising given the low income bracket. “But the 33.6 percent includes both homeowners and renters. Our affordability assessment tool also has the capability to look at the impact of rates on just homeowners—excluding renters. In many cases renters do not pay a water bill directly, but instead pay for their water as part of their rent. Looking at just homeowners can sometimes provide a more accurate representation of a utility’s actual customer base. For Hiawassee, about 29.8 percent of households that own their homes earn less than $25,000, and the amount that they could spend of their annual income on water service doesn’t change—it is still 8.45 percent if below booster and 8.78 percent if above booster. “What do you know about renters in Hiawassee? Are they paying their own water bills, or is water generally included in their rent? Even if it is included, an increase in the water bill will ultimately lead to an increase in the rent, so they are paying regardless. There are many resources available for you to use if you are concerned about affordability or are interested in customer assistance programs. If that is something you may be interested in, please let us know and we can provide you some resources. “Finally, we look for other factors that would indicate a potential affordability issue in the community. What percentage of those in the labor force are unemployed? What percentage of residents are not in the labor force at all? What percentage of residents receive social security? What percentage of residents receive cash assistance or food stamps? What percentage of households are below the poverty rate? A date for the proposed rate increase to move before Hiawassee City Council had not been determined at the time of publication. Hiawassee City Council convenes for their monthly regular session Tuesday, April 2, at 6 p.m. Public comments are permitted at monthly work sessions, the next which is scheduled April 29. UPDATED: As previously reported, Mayor Ordiales reminded that a rate increase has not occurred in the past six years, adding that water/sewer has been running at a deficit of $159,000, excluding over $3 million in city debt. 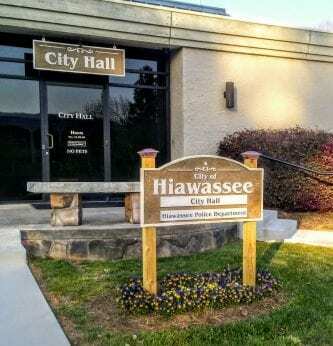 HIAWASSEE, Ga. – Hiawassee City Council convened for March’s work session on Monday to discuss numerous topics. Hiawassee Mayor Liz Ordiales opened with a monthly report, including an update on city loan repayments. 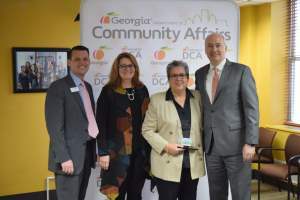 Mayor Ordiales announced that yet another Georgia Environmental Finance Authority (GEFA) loan has been repaid, saving taxpayers $50,543 in interest. The payoff amount was listed at $191,312. While $3.8 million remains in city debt, a total amount of $823,684 has been paid to date, the mayor said. Three United States Department of Agriculture (USDA) loans loom, totaling $2.3 million, with the highest interest fixed at 4.375 percent. “I would love to take care of that one, but that’s a $700,000 loan so we’ll figure a way to get to that one later,” Ordiales explained. Four GEFA loans remain, amounting to $1.7 million, with the highest interest set at 3.81 percent. “I’ve got my eyes on two of those. The highest one will probably be gone in a couple months, so we’re moving in the right direction with that,” Ordiales said. The mayor reminded that designation as a PlanFirst community offers a half percent credit on GEFA loans, and such will be applied toward water treatment plant funding. Mayor Ordiales reported that maintenance on the million gallon water tank was completed, as well as the “green tank” that serves as storage, and that a derelict home on River Street was demolished in accordance with the city’s five-year strategic plan. Revitization on the post office began the weekend prior, with pressure washing taking place. At the conclusion of the meeting, citizens were invited to cast votes for the future color scheme of the post office by dropping play money into buckets. The mayor proposed purchasing Galaxy Samsung 32GB tablets for the council to receive official emails, at a cost of $188.84 per tablet. The council remained silent on the issue, opting to discuss the matter at a later date. The mayor informed that students on spring break from Grand Rapids, MI, visited Hiawassee, removing kudzu vines from an area behind McDonald’s. Ordiales relayed that the city purchased lunch for the volunteers. New business included a screw press declaration pertaining to the water treatment plant. The “sludge remover” will cost approximately $384,000, the mayor said, adding that the current belt is 35 years old, costing $15,000 in repair each time that it malfunctions. Debt collection through Georgia Municiple Association (GMA) was noted, with the service retaining 17.5 percent of collected funds. The first reading of a defined benefit resolution ordinance was held, transfering management from GMA to One America. The city matches up to 3 percent of city staff contributions, and the mayor reported that 12 government employess have signed up for the program thus far. A University of North Carolina water study was announced by Ordiales which will increase residents’ water rates from the current amount of $19.27 to $42.25 over a five-year span. FYN requested additional information from the city clerk on the increase, and an in-depth article explaining the process – including the potential addition of fluoride to the local water supply – will follow. 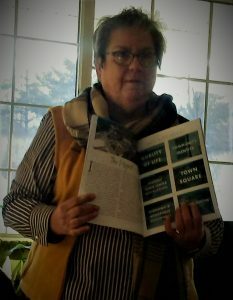 Economic Developer Denise McKay addressed the citizens as the meeting concluded, briefly explaining the implementation as a Main Street Affiliate through the Department of Community Affairs, which McKay said will open resources, and a Rural Zone Designation program, an endeavor that McKay described as a labor-intense project that will focus on the downtown area, defining physical boundaries. Hiawassee Police Chief Paul Smith recounted the donation of a patrol vehicle and speed detector devices from a generous law enforcement agency in Sunny Isle Beach, FL. Elijah Moody, a student from Eastgate Life Academy, opened the meeting with a lively speech on the future of artificial intelligence. Rotary Club Public Image Chair Bonny Herman provided information on an Earth Day event, scheduled for April 13 on Hiawassee Square. Additionally listed on the agenda, City Councilwoman Nancy Noblet resigned from organizing future square activities, explaining that the task has become challenging. Noblet volunteered for square event oversight three years prior. Hiawassee City Council will meet for their regular session Tuesday, April 2, at 6 p.m. A public hearing on the city’s 2019-2020 proposed budget is scheduled for Thursday, April 18, at 6 p.m.
Atlanta, GA – The Georgia Department of Community Affairs honored 18 communities as part of the 5th Annual PlanFirst Capitol Event on February 27. 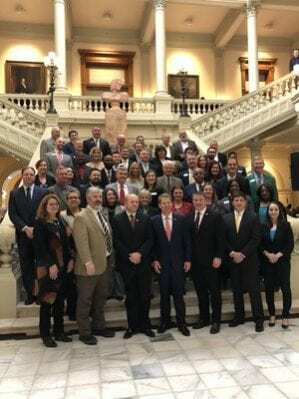 The 2019 PlanFirst honorees were recognized for their communities’ successes in coordinated comprehensive planning in Georgia. PlanFirst is a DCA program which recognizes and rewards communities that demonstrate an established pattern of successfully implementing their Local Comprehensive Plan. The process for PlanFirst designation includes meeting multiple prerequisites and evaluation by multiple state agencies. Designation brings statewide recognition and incentives for these communities. This year’s honorees were the cities of Centreville, Chamblee, Dublin, Gainesville, Fitzgerald, Hiawassee, Lula, Porterdale, Roswell, Suwanee, Swainsboro, Sylvester, Toccoa, and Washington; Colquitt, Gwinnett, and Liberty counties; and Columbus Consolidated Government. Christopher Nunn, Commissioner, said DCA’s mission of building helping communities created a climate of success and understanding that good planning is one of the essential building blocks to accomplishing that goal. Applications for the 2020 designation are due May 15. For more information, visit dca.ga.gov or call 404-679-4840. HIAWASSEE, Ga. – Hiawassee City Council held their monthly work session Feb. 25, 2019, and Hiawassee City Hall was filled to rare capacity with citizens invested in the county seat’s future. Following the business portion of the meeting, public comments were accepted. What follows is a speech, in its entirety, delivered by Towns County resident Becky Landress. FYN tracked Landress after the meeting to request a copy. The public address followed an article published by FYN earlier this month. Please allow me to introduce myself. My name is Becky Landress. I am a resident of this county and have been my entire life. Despite what a lot of progressive, move in residents feel, I am not uneducated, nor have I been sheltered by small town life. I have a background in journalism and the reason I have stayed in Towns County has much to do with a lot of what has been mentioned as a potential for change. My family is one of the main components, which is not on the table of change, thankfully; although the rest may be. “My roots run deep. I am proud to know many of the families that make up my community. Families I went to school with, or that taught me, or that have children that have grown up along side my own children. Although finding a job in this area that would fulfill my family’s needs was near impossible, my husband and I made it work for the other benefits. He drove back and forth from Gainesville for over seventeen years to provide for us. He would leave before daylight and often get home well after. We still chose to stay put for the benefit of our children; a good school system, recreation for our children, small town feel, and a value system that mimicked those of our neighbors. Today, I don’t believe we would make that same decision. “Families are moving away, and others are not moving in. Jobs are still scarce and now recreation programs are almost non existent for children. Our surrounding communities still have recreation programs for children running full force and most importantly, no one is questioning their “Bible Belt stigma”. “Our traditional values are being questioned by business owners that moved to our area, with those very values in play. Those “progressive” business owners somehow have a voice with this council although they were not elected by anyone in the area. They want to change our “Bible belt stigma” and even want to dictate what music should be welcomed by our area. I’m sorry, but as a native of this area, I find these voices have no business being heard by those of us that were here long before them and didn’t ask their opinion, although this is the make up of your “ethics” board. Really? Calling a political party names and associating them with one of the most horrific groups in history is not someone I would nominate to divise up any board with the word ethical in the description. “Ms. Mayor and members of this council, I don’t reside within the city limits of Hiawassee but I should, along with every tax paying citizen in this county, have a voice. When people were invited to help divise the five year strategic plan, and boards were made up, they were a make up of a small amount of people that actually represent the vision of most residents. I realize you are a City Council and those that do not live within city limits don’t have a vote, but we should have a voice. No one can live in this county and not have a vested interest in the happenings within Hiawassee. This is where we do our grocery shopping, school clothes shopping with our children and main street is the road we travel to take our children to school everyday, or better yet, church on Sunday. It is the road I travel down to arrive at our small business on the outskirts of town. “Let’s be honest here, if a five year strategic plan is in place, an aesthetic vision should be one of the components, but not the main component. When hiring an economic developer, as we have, we should feel in line with the words of our county commissioner, “we will try it for one year”. He also has a vision focused on families, instead of primarily community beautification. “Ms. Webb’s article brought my attention to a lot of things I was unaware of beforehand. I believe many residents weren’t aware of most of the things addressed in her article. Since the article, I have been to the City’s website and studied each slide in the newly adopted strategic plan. I have read about all the previous meetings leading up to that point and I have gained much respect for three members of this council for representing the districts that appointed you. “The mayor reached out to me through a message and asked me to meet with her to discuss my concerns after me and many others read the article covering last month’s council meeting, and we expressed our ill feelings of many things, most of which was said by a member of the ethics board. We didn’t appoint her to anything and she wasn’t elected by the voters of this City. If she feels the Bible Belt stigma is not her thing, Highway 76 will take her to a city on either side of Hiawassee. Let’s see if that proposition would hold water in either of those communities. 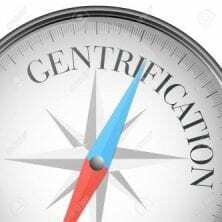 “Honestly, I had never heard of the term “gentrification” before Ms. Webb’s coverage, but I have studied the strategic plan, read about proposed water bill increases, additional proposed taxes and much more. I also have come to the conclusion that gentrification is at play. “Ms. Mayor, please take note of the wishes of the community you moved in to. The community that welcomed you and even elected you to office. Look back over our history and listen to families. We are not worried about which bag we need to carry out of Ingles. We know our post office is outdated and we also see way too many vacant buildings. Know that many of us remember when those buildings were full. We remember in the late 80’s and early 90’s when there were several stores for ladies to shop for a new purse at. There was one for several decades right here in the center of town and another about a mile down the road, also in city limits, as well as one where those unsightly vacant buildings are across from the grocery store. We remember when restaurants were jumping in the summer and still able to keep their doors open in the winter. A face lift on the post office would be nice but that isn’t as pressing as many of our concerns. “Focus on a future. Please, focus on getting families here. 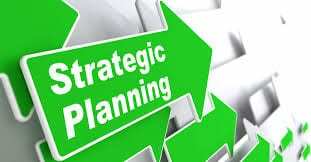 Possibly incorporate a small playground on your strategic plan. That would look great on the square, near the gazebo. It would work wonderfully with a bunch of new retail stores and restaurants all along the square. We are the only City in our area that doesn’t have shopping and dining around our square. Instead we have insurance and financial. Look into getting stores and restaurants around the square. There are plenty of open spaces and where they are not, try to open up the right businessess in the right spot. If you can accomplish that, families would have a reason to park and walk around Hiawassee, like the visual slides of the strategic plan. If not, there is no reason for additional parking or crosswalks. If you can do that, families would not only fall in love with Hiawassee for the beauty of our lake and mountains and our nice new post office and lovely trees, but they would know we aren’t a retirement ghost town, unwelcoming to families and their needs. They would have no reason to feel Blairsville or Rabun County would be better suited for them because their are more recreation programs for their children and places to dine and shop. With families, comes jobs. “We can all agree tourism dollars are vital for our area but it’s time we all also agree that our future should not be geared toward retirees moving in. We need to be diverse. We need to bring back the necessities that those that are still working, paying bills, shopping and raising children need. The thoughts and feelings of a select few you have heard over the past few months is not the voice of this community as a whole. I feel you know that. You must know that. Since we can’t vote in city elections without being a resident within city limits, you may be finding an influx of residents moving into city limits and I promise you, it won’t be for the lovely new murals. Emotions ran high following Landress’ passionate speech, and Hiawassee Councilwoman Patsy Owens reacted to the speaker’s remark pertaining to respect for unnamed council members. Owens expressed heated dissatisfaction with FYN’s reporting, with Councilwoman Nancy Noblet soon thereafter publicly stating that she did not appreciate Owens referring to the council woman in an alleged, offensive term. 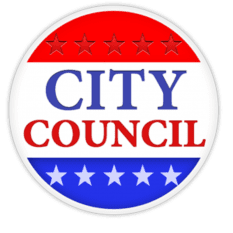 Noblet later said that she respects Owens and her fellow council, and while they may not always agree, she will continue to support the mayor and council members when she believes that they are doing the right thing for the citizens. Noblet stressed that she ran for a seat on the city council to serve the people. “I don’t go to any other council member and say ‘This is how I’m going to vote. You need to vote this way.’ I don’t do that. I’ve got a conscience of my own.” Noblet referenced her strong Christian faith, and said that she publicized the meeting on social media beforehand to encourage the high turnout. Additional citizens voiced their views on varied subjects, ranging from hope for additional youth recreational activities, a desire for a local dog park, and the group seemingly agreed that more economic opportunities are important for the area. Hiawassee Councilwoman Amy Barrett thanked everyone who attended, saying, “We’re a community. We’re a diverse community. We need everybody involved.” Council members Ann Mitchell and Kris Berrong were present, although they did not offer input during the public portion of the forum. 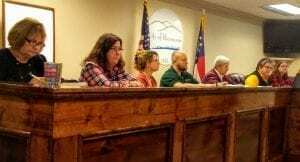 Following Landress’ speech, Hiawassee Mayor Liz Ordiales invited the Towns County native to meet privately in order to discuss concerns, and the mayor encouraged the public to attend future meetings so that their voices can be heard. Mayor Ordiales stated that she has an open door policy, and that has proven to be the case throughout her term, according to citizens’ reports and FYN access. Additionally, Ordiales relayed earlier in the meeting that she is making a steady effort to visit local business owners to become better acquainted. One regular attendee shared that the City of Hiawassee as a whole has positively advanced in recent years, with another citizen saying that she “sleeps better at night” knowing that Mayor Ordiales is in office. A summary of the business portion of the Hiawassee City Council work session will soon follow this release, with a hyperlink added once it becomes available.